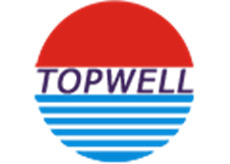 With over 20 years experience in plastic mold and plastic products industry include design and making, Topwell provide one stop solution service and OEM/ODM for our customers such as Logicdata, Parrot, iNVENCO and Toyoda. We help our customers make their ideas become final products. Looking for ideal Carbon Bicycle Mould Manufacturer & supplier ? We have a wide selection at great prices to help you get creative. All the Plastic Car Parts are quality guaranteed. We are China Origin Factory of ABS Plastic Car Parts. If you have any question, please feel free to contact us.